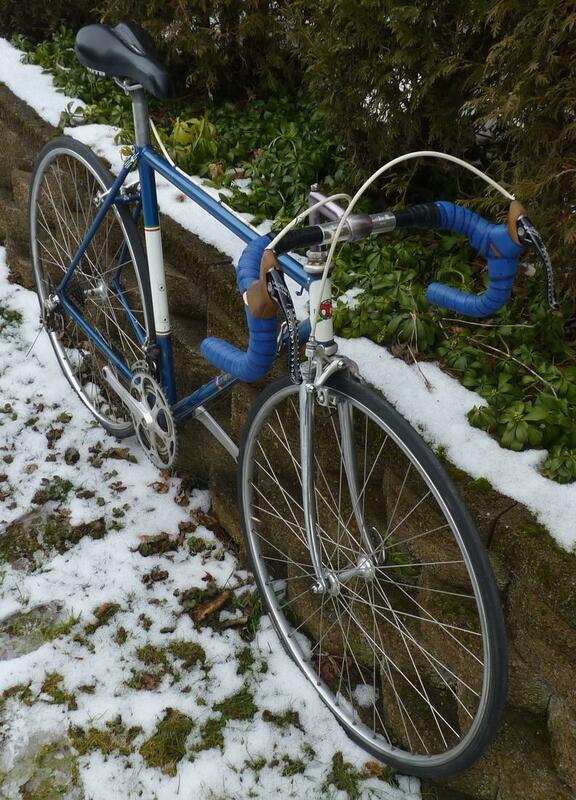 Tommasini - what do I have here, and what's up with that seat tube decal? 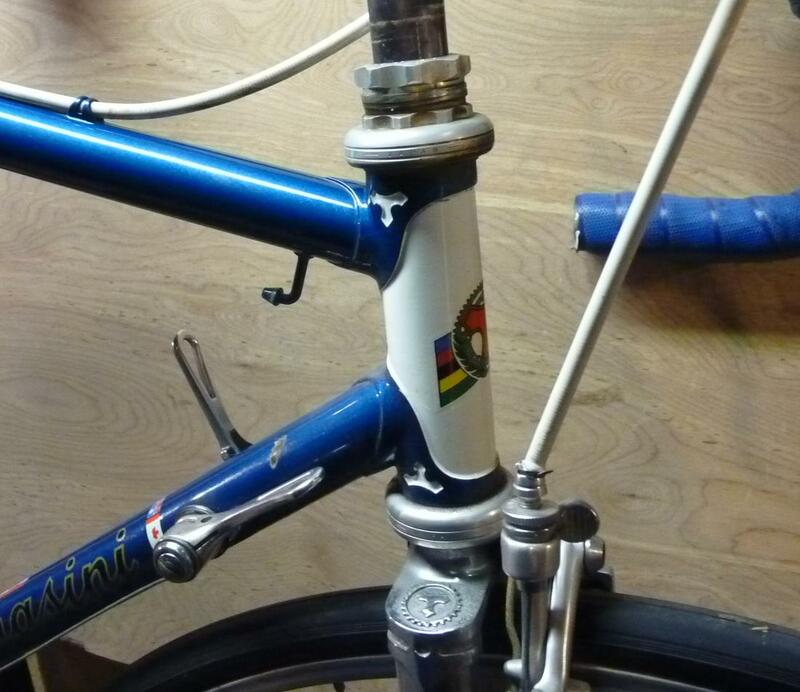 Thread: Tommasini - what do I have here, and what's up with that seat tube decal? I purchased this recently and would like some information from any of the Tommasini aficionados out there. It has no tubing decals or serial number anywhere obvious. 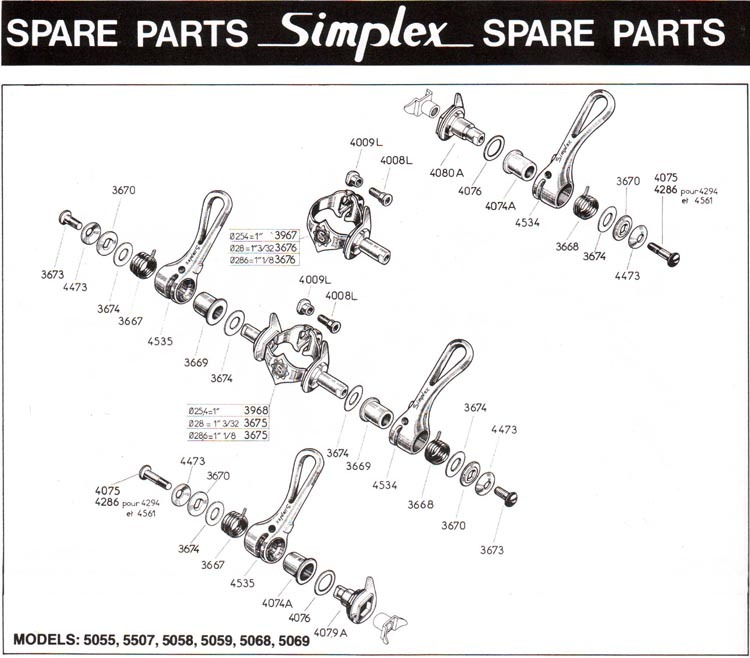 From the age of the parts and style of frame pump pegs, it seems to be a late-70's or early-80s model. It includes an odd mix of Dura-Ace and Campagnolo Record, with a Zeus crankset, Modolo brake levers and Mavic downtube shift levers thrown in - probably one of those build-with-what-you-can-find (or afford) jobs. ...and what about the strange white blank seat tube wrap decal - seems like it should have a Tommasini script or something in the middle. Although no expert I would speculate, on account of 2 water bottle mounts, early\ mid 80's. Those shift levers are, in my opinion, the finest friction shifters available. They shift, up or down, with eaqual smoothness and don't slip. If you're going to give the bike a going over it'd be worth your time to make sure the springs in the shift lever bodies are intact. The little tab has been known to snap off. It's my understanding that if it does break a new tab can be bent on the same spring and it will still work as intended. maybe the seat tube bottle bosses were added later and that decal was used as cover for the brazing. what is the rear spacing? 126? and what is the rear derailleur? sorta looks like campy rally. That fork crown was used up until early 80's, then the Air fork was phased in. Check the fork steerer for spiral ridges on the inside and that will indicate Columbus SL. The same ridges inside the down tube and seat tube would indicate SLX, but I suspect this frame is before SLX came out. My guess is your frame got a repaint and the owner ran out of money on the re-stickering. Good call. The frame was definitely reworked because that pump peg style was never used on production frames. Nevertheless, it could be a Columbus SL or SLX quality. The spacing is 126, and the rear derailleur is early Dura-Ace. Cool bicycle. Ride it happily. And like velodog says, those retro-friction shifters are great. They were my go-to shift levers back in the day. 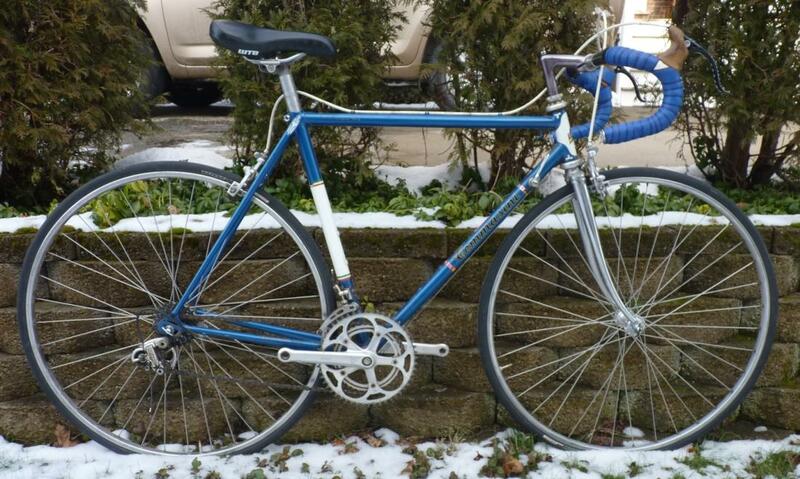 Frames with slack seat tube and short head tube? where can I find a colnago head tube decal?? frame angles - seat tube and head tube ? Top-tube length and seat-tube angle: Are Colnago's 56 and 57cm frames the same?